And when they finally arrive, a new adventure is in store! 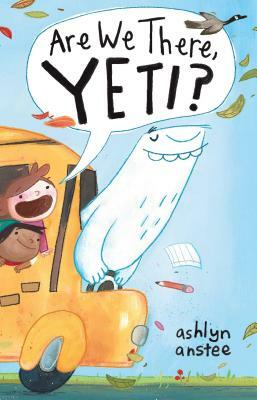 Told with simple text and delightful illustrations, Ashlyn Anstee’s debut picture book presents a fun, new take on a timeless question. "A nifty take on the perennial question "Are we there, yet(i)?" and a prerequisite read-aloud before a first class field trip." "A handy title for those looking to feature gentler monsters in their storytimes." "Anstee’s drawings show a lot of promise: rendered in a sunny palette, her artwork, a mix of digital media and painting, has the breezy look of early 1960s animation. Anstee’s bucktoothed, oversize hero and round-headed, eager-eyed children have big hearts and high spirits, and she includes just enough goofy incidental details to invite young eyes to linger."